The green rivers of Galicia, on the Atlantic coast of north-western Spain, look more like Ireland than than Iberia, with drizzly wet weather to match. 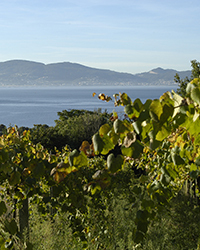 But those valleys produce some of Spain's most outstanding white wines, especially the vibrant, mineral-laden offerings of Rías Baixas (REE-ahs BYE-shus), Galicia's top subzone. Based on the Albariño grape, Rías Baixas whites are fantastically fresh, with pronounced citrus flavors. One of the best-known wineries in the isolated Valdeorras region, Bodegas Godeval nearly single-handedly revived the rare Godello grape. 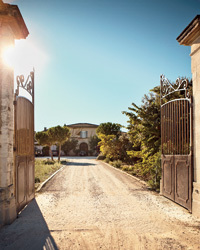 Founded in 1986 by two grape researchers, Godeval bottled ’s first 100 percent Godello wines. Winemaker and co-owner Horacio Fernández sources fruit from 42 acres of estate vines on the steep slopes of the Sil River valley. 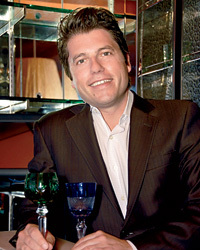 Galicia’s best cooperative winery, Martín Códax offers delicious Albariño masterminded by winemaking talent Luciano Amoedo. Its basic Albariño is among the most widely available and high-quality wines of its kind in the U.S., though visitors to Europe should look out for Amoedo’s distinctive variations, including the lightly oaked Organistrum, and Lías, a modern, stainless steel–fermented interpretation. Gerardo Méndez fashions his wines from ancient family vines—some more than 200 years old—in the Salnés Valley, Galicia’s coolest and wettest part. Ferreiro means “ironworker” (the profession of Méndez’s grandfather), an appropriate name for an estate whose rocky, granite-based soils give its wines a steely strength. 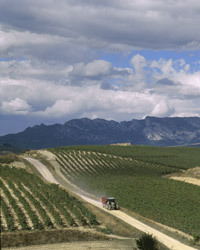 Méndez uses traditional techniques: farming organically, handpicking grapes and fermenting with wild yeasts. While most wineries in Galicia rely at least in part on purchased grapes, this ambitious producer uses only estate-grown fruit. That means that quantities of its two wines—the flagship Albariño and the lees-aged, single-vineyard cuvée Selección Finca Monte Alto—are inherently limited. Exhibiting rare complexity for the Albariño grape, they are well worth hunting for. Rías Baixas was nowhere on the world’s fine-wine radar when Marisol Bueno and her husband acquired Pazo de Señoráns in the Salnés Valley in 1979. She was instrumental in the campaign to gain DO status (granted in 1988) for the region, and her Albariños have long been a Rías Baixas standard-bearer. A rare second wine, Selección de Añada, is made only in great vintages. Rosa Ruiz manages the winery in Rías Baixas’s O Rosal subzone that her influential father, Santiago, brought to prominence. Though small, the label’s impact in Rías Baixas has been important, thanks to the elder Ruiz’s progressive winemaking and championing of once-obscure native grapes. To visit the quaint 19th-century estate, just follow the map on the bottle.